The two-day residential conference titled “Friendship Affirming Camp” is being held at the BIRRB auditorium in Batticaloa with the support of the NYSF, the Sri Lanka Youth Clubs’ Federation (SLYCF) and the Peace Secretariat at the Sri Lankan Prime Minister’s Office. Mr. Dharmasiri was the chief guest-speaker at the conference. At the commencement, religious services were held. 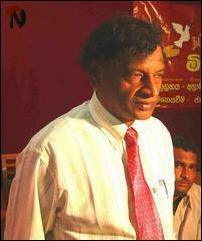 Hindu priest Maheswara Kurukkal, Catholic priest Rev. 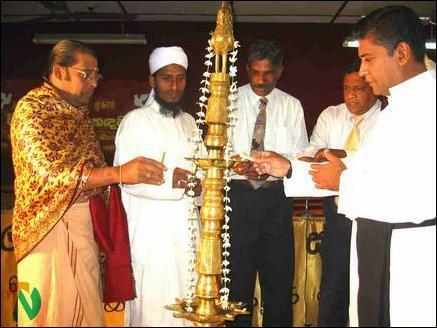 Sylvester and Islamic Moulavi A.K.M Ilyas, jointly lit the ceremonial lamp and gave their blessings. 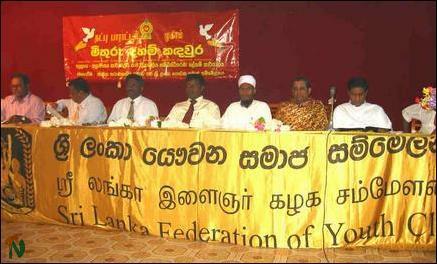 Mr. A. Thavarajah, the Batticaloa district director of the NYSF, gave the welcome speech. Continuing his speech, Mr. Dharmasiri said, “For a long time, Tamils, Sinhalese and Muslims, have lived united in this country. But some undesirable problems have caused strife between some ethnic groups. Without apportioning blame for these problems, we at the NYSF are devising work plans to create ethnic amity among the people. We are conducting Friendship Affirming Camps all over the country. “Today a conducive environment for peace has been created by the government. In the past, after independence in particular, there have been several peace plans and agreements by the governments of the day. But these agreements were not implemented. When the Thimpu talks were held, many people of the country did not know the proposals put forward in the talks. As a result, even those talks failed. When peace plans are put forward, it is important for the Sinhala, Tamil and Muslim youths of the country to be aware of the plans. Christian, Islamic and Hindu priests lighting the ceremonial lamp. Mr. Piyathissa Gamage, the NYSF’s director for development, the SLYCF’s general secretary, Mr. Sujeeva Samara, and its Eastern director, Mr. Pon. Selvanayagam, also spoke at the conference. Hundreds of Tamil and Muslim youth members of the NYSF and SLYCF from the Batticaloa district participated at the conference. Mr. O.K. Gunanathan, Youth Service Officer, proposed the vote of thanks.